An old hero heads back to the jungle, and friends turn into monsters, in this week's best. Saying there's a considerable lack of star power in this week's crop of iOS and Android games is a huge understatement, as there are no movie tie-ins or big budget franchises to speak of. That doesn't mean you won't find quality on the App Store and Google Play. On the iPhone and iPad front, Activision resurrected an old friend from the retro era, while a developer made a splash with a new spin on an old classic that just so happens to be available for both platforms. With that, we bring you the mobile games of the week. In case you didn't know, 2012 marks the 30-year anniversary of Pitfall!, the Atari 2600 classic that laid the foundation for the platforming genre. To celebrate, Activision crafted another adventure inspired by the original effort, with a bit of Temple Run thrown in for good measure. 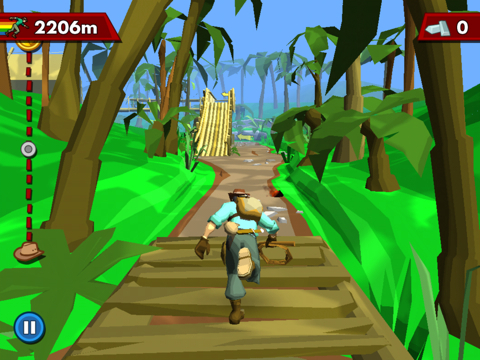 The result is a well-polished and adrenaline-fueled endless runner that beats the competition, thanks to plenty of variety that sees Pitfall Harry riding a motorcycle, charging through the jungle atop a jaguar and whipping rattlesnakes. Branching paths mean you probably won't experience the same game twice, while the inclusion of Activision badges (similar to the ones people won back in the day) are a nice touch. Throw in cell shaded graphics and adventurous music, and you have one of the more thrilling Indiana Jones style games for iPhone and iPad. 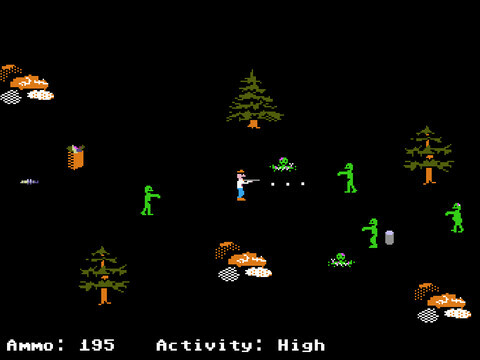 The Oregon Trail is one of the most beloved games in history, but let's face it, this 70s survival sim has grown a bit dusty over the years. Thankfully, the talented developers at The Men Who Wear Many Hats delivered a fun take on this celebrated hit, a loving homage titled Organ Trail: Director's Cut. This time, instead of blazing a trail across the American frontier, you head westward to survive the zombie apocalypse, and all manner of terrible things can and will happen. Friends will get sick, people will break their legs, bandits will steal precious resources and a zombie or two will make life difficult. It's a very cerebral game that forces you think over running in guns blazing, and the choices you make have a huge impact on the outcome. Will you let mom be, or blow her soon-to-be infected brains out? Entirely up to you.